I had the best line for Belle’s opening number in Beauty and the Beast, but so far I haven’t been able to make the rest of it work. 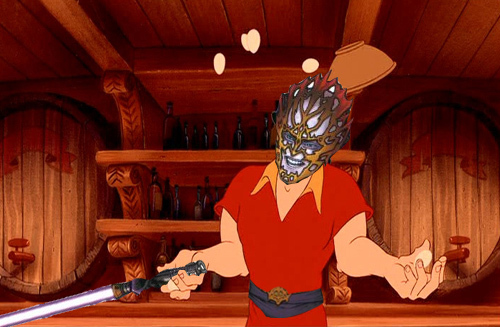 Who’dah thought that Gaston’s song makes for the best messing about? Feast your eyes on the travesty that is Darth Bob! Sung to “Gaston”, from Beauty and the Beast. Makes a great duet! the wrong Sith! No one says “no” to Darth Bob! more than I can bear! what for, nothing helps. I’m disgraced! Who you? Never! Darth Bob, you’ve got to pull yourself together! You’re perfect a pure paragon! And they’ll tell you whose side they prefer to be on! No one’s got conflicted soul like Darth Bob! As a specimen yes I’m intimidating! my what a guy, that Darth Bob! in a challenge no one force chokes like Darth Bob! I’ve got Midichlorians to spare! my force powers are nearly as dark as my hair! in a force duel nobody maims like Darth Bob! and I know every last page of Sith Lore! Then stomps the star system like you! Stay tuned for more silliness! The bad news is this isn’t a hoax. The good news is George Lucas is donating much of the money from the sale to an educational charity. But Disney? doing a Star Wars movie? I can totally see this turned into a 90s Disney musical, princess, animal sidekick, full musical score and all. 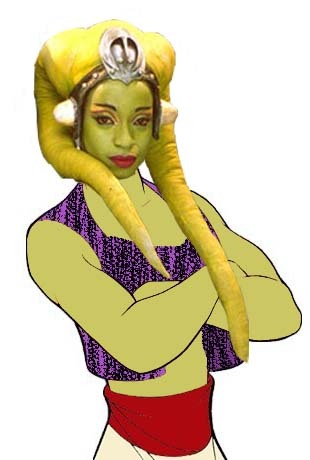 Perhaps Star Wars VII will open with a young bounty hunter, one who lives unaware of her latent force powers. 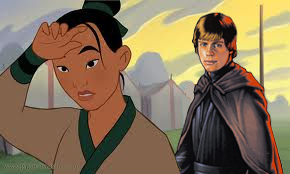 She’s already in trouble with the Sith, and little does she know that the Sith has plans within plans. . . I kill only what pays a reward. these guy don’t appreciate force choke. Its time to get out of here! But she cheated a powerful Sith Lord. tell you all about it when I’ve got the time! I’d scream except I’m out of breath! I’ll bet I can escape their tractor beam. [alien] Human flesh is rather tasty! that’s why we’re never bored! [guards] she’s got a blaster! you idiot, we’ve all got blasters! that song is going to be stuck in your head forever now. totally worse than being rick-rolled. At least now I’ll only be sued by one megacompany for copyright infringement instead of two. Stay tuned for the next installment of Disney Episode VII! Who knows what adventures our bounty hunter/thief will encounter? If she wants to escape the Sith and become a Jedi she’s got a lot to learn.